Michelle Obama has pushed Americans to eat healthier and to exercise more. Now she says we should "drink up" too. As in plain water. And as in more of it. 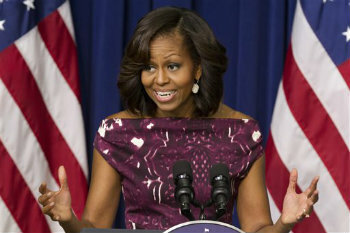 WASHINGTON (AP) — Michelle Obama has pushed Americans to eat healthier and to exercise more. Now she says we should “drink up” too. As in plain water. And as in more of it.